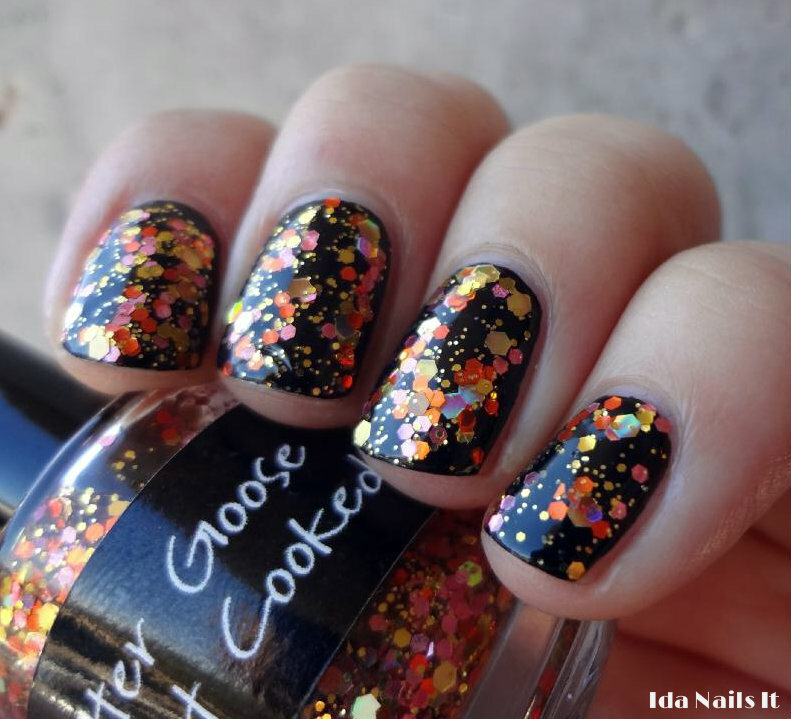 Her Goose Got Cooked and Bah F@#$% Humbug are from CrowsToes Holiday 2012 collection. I ordered a few more but these two are my favorites of the collection. 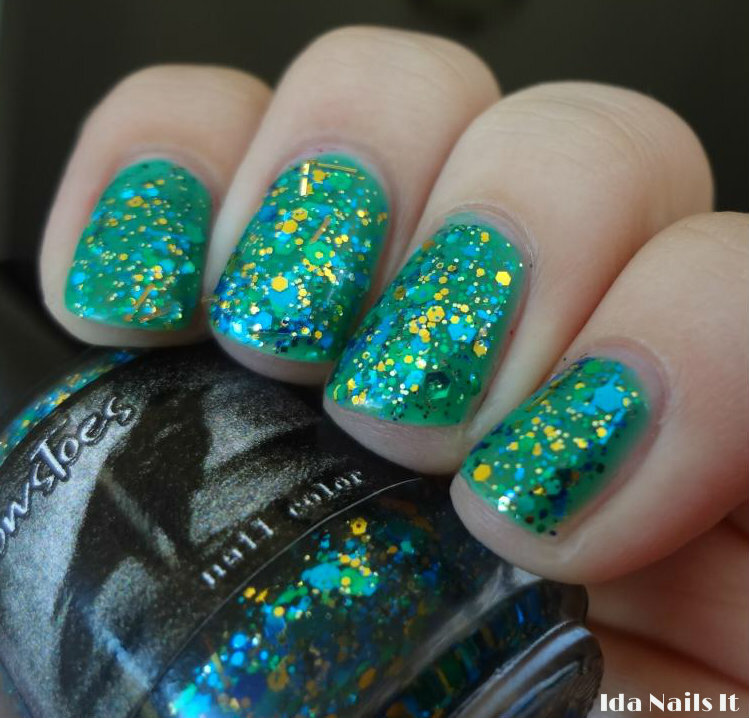 CrowsToes polishes are beautiful but have had very thick polish consistency, making them harder to work with. These two though, were super easy to apply, no formula thickness whatsoever. I don't know what kind of magic CrowsToes has been doing but it's nice to see that improvement. Bah F@#$% Humbug is an Overall Beauty exclusive and can be purchased here. 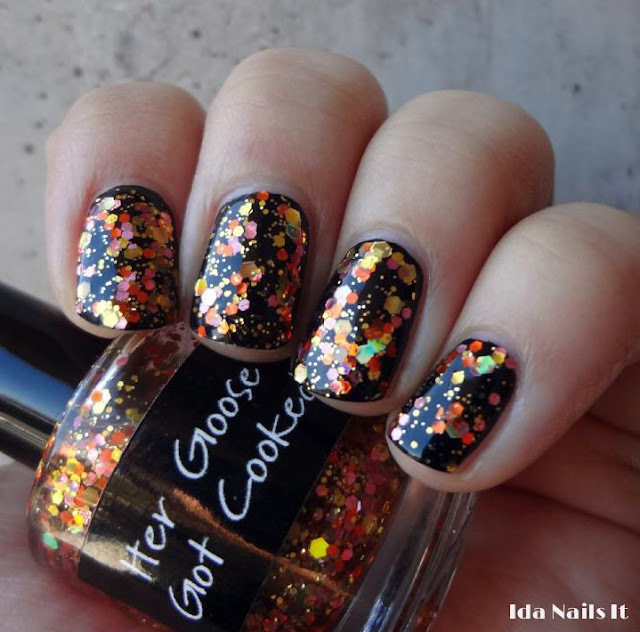 Her Goose Got Cooked is a Llarowe exclusive and can be purchased here.